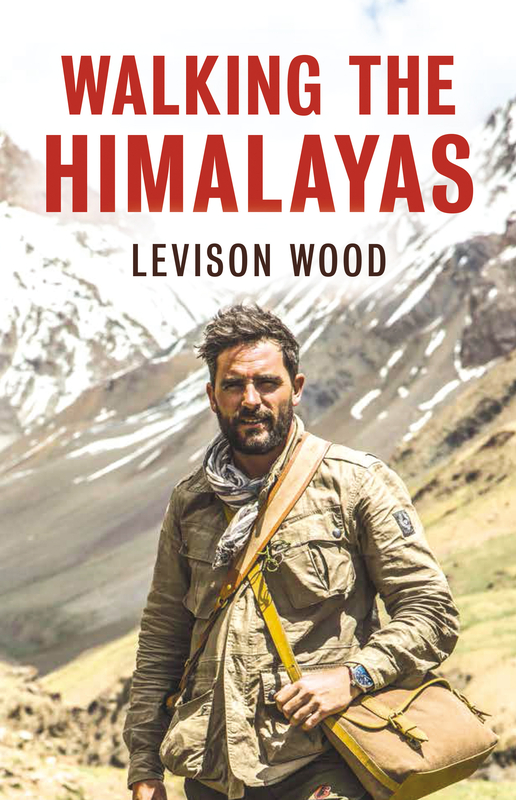 Levison Wood rarely takes the fastest route. Last year the renowned explorer wrote about his 4,250-mile journey along the Nile in Walking the Nile, and his new follow-up recounts the six months he spent hiking 1,700 miles through the Himalayas. The book, Walking the Himalayas, is every bit as outlandish as its predecessor. Once, Woods narrowly escapes an avalanche; later he breaks his arm going over a cliff in a cab; and then there’s the time he’s forced to navigate the minefields around the politically unstable Line of Control, which divides the Pakistani and Indian regions of Kashmir. The excerpt below picks up in Afghanistan’s Wakhan Corridor, where he and a local guide have just been dropped off by helicopter, and their first mission is to secure a Yak to help them haul gear. An hour later we had flown almost to the very end of the valley. With the Oxus as their guide, Oleg and the Moldovans had navigated the helicopter to within just a few miles of the Chinese frontier. The Pamir mountains loomed large and forbidding on either side. We’d left the last permanent civilisation behind – not even jeep or motorbike tracks could be seen down on the wide steppe-like landscape below. We had entered another world. Devoid of trees, houses and roads, it appeared as a wilderness like no other. Virtually untouched by man, yet unloved by nature, the barren emptiness was spine-chilling. It really was the roof of the world. As the chopper slowly but surely hovered above the stony meadow the rotor blades blasted the earth and sent sand, dust and terrified yaks in all directions. We bounced and bumped and finally came to a standstill, but because of the extreme altitude – we had landed at almost four thousand metres – Oleg said he needed to keep the engines running while we threw out the bags into the dirt and dashed away to a safe distance. Oleg stayed in the pilot’s seat while the wrestler got out to take a piss. While he was there he took out his phone and started taking selfies of himself with the helicopter in the background. I’d almost forgotten that these airmen had never travelled this far before and it was as foreign to them as it was to me. He took one last look in my direction and shook his head. Holding onto my hat I turned around to wave back at the helicopter and Oleg gave me a thumbs up from the cockpit. As quickly as it had landed, the machine sped up into the air, sending Malang’s scarf flying off into the dirt. Within just a few seconds the helicopter was just a tiny dot high above us and the noise died away gradually to a faint hum that disappeared into the clouds. Our transport was gone and from now on, we would be on foot. Up here, the unbearable heat of Kabul had given way to a pleasant balminess. The sky was clear but occasional gusty winds blew up the valley, warning that the weather was liable to change at a moment’s notice. But for now at least I was happy to follow my new guide. I took off my boots and rolled up my trousers and in we went, shuffling under the heavy loads of our packs. The water was just above freezing and Malang squealed with delight. He stooped down to scoop up a handful of the chilled pond- water and threw it into his mouth. We plodded on, the water reaching our waists now, and I was beginning to regret my decision. Walking around the lake would have only added on an extra hour or so, and we could have forgone the unpleasant sensation that comes from submerging your crown jewels in an ice bath. Yet at the same time it was a lesson learnt. We had far too much stuff. Our rucksacks were bursting with ration packs and technical gear: cameras, satellite phones, water bladders and spare clothes. We needed to reach the camp soon, if only to get help carrying the bags. On the far side of the water, the land began to slope upwards. It wasn’t steep, but bumpy, with large undulations and dips and hillocks strewn among the gravelly plains. It meant that even though the landscape inside the valley looked fairly flat from above, at ground level it would be easy to lose the trail. Behind one such mound we came across an astonishing sight. ‘Wakhis,’ said Malang, pointing down. I strained my eyes into the speckled morass of green, grey and brown, which reminded me of the British army camouflage pattern, only on a much vaster scale. Then there was movement and I spotted three figures, walking about half a mile away. They were moving slowly and then I realised why. They were surrounded not by boulders, as I’d presumed, but by around five hundred sheep and goats, grazing from the short grass that flourished between the stones. We sat down on a boulder and waited as the mass of animals slowly drifted towards us, and with them the three men. Malang shouted towards them and they sauntered over. They were teenagers, filthy dirty and dressed in nothing but rags. They bore sticks – prize possessions in a land without trees. ‘They work for the Kyrgyz. They look after all these sheep and goats.’ Malang grabbed a goat by its neck and picked it up, hugging the bewildered beast as it bleated protestations. ‘Where are you going?’ I asked the boy. Malang translated. They were the vanguard of the Kutch, the Kyrgyz apparently strung out across the valley somewhere behind. We would see them soon. So we stood still, letting the herd pour around us. Hundreds and hundreds of fat-tailed sheep and skinny little goats with coarse black and white hair. After ten minutes more figures appeared from behind the hills. A man was riding a minuscule pony with his infant son in front and his wife trailing behind on a donkey. The scene was almost biblical. The woman wore a long red velvet dress and a tall white hat. All of them had dusty, weathered faces and cracked lips, and unlike their Wakhi servants, had narrow eyes – a reminder that these people are the Central Asian descendants of the Mongol horde. Some of the last true nomads in the world, they were now cut off from their former grazing lands by politics, border disputes and all the other restrictions of the twentieth century. The family ignored us completely. In fact they barely registered our presence. Malang strode up to the man and asked him something which I couldn’t understand. The Kyrgyz muttered something in return, and my guide returned to me. ‘Salaam Alaikum,’ we all chimed as the chief approached. He grunted and raised his stick above his head and gave Malang an almighty whack across the buttocks. Malang simply smiled and grabbed the chief’s hand and held it tightly. ‘Who are you?’ The chief spat the words through horrible stumpy yellow teeth. ‘Are you Taliban or Daesh? Who’s this one with the beard and strange clothes?’ He flicked a crooked finger in my direction. Malang went to embrace the chief but received another whack for his efforts. The chief grunted again and handed the reins of the camels to me and trotted off in the direction of the herd. I was slightly bewildered as to what had just happened but Malang just laughed. [The next] afternoon we watched as the horsemen played Buzkashi. Afghanistan’s national sport resembles polo but involves a decapitated goat and, as far as I could tell, very few rules. Vicious-looking men on horses thrashed and galloped across the steppe, attempting to keep hold of the carcass for as long as possible. ‘They learn to ride when they are three years old,’ said Malang. Whips flailed, fur hats were trampled and horses reared up into the clear blue sky. The sound of forty hooves crashed around the stony escarpment and the whoops of the men echoed across the empty valley late into the evening. It was a lonely, bleak existence, I thought, where only the hardest survive. There was no room for the weak here. That night we stayed with the Kyrgyz, setting up our nice new tents next to age old yurts. Malang played the game, and even blew up his air mattress for form, but I was hardly surprised when I saw him sneaking out of a yurt at dawn the next day. He’d already had a fresh cup of salty tea and had slumbered comfortably under a cosy blanket. Completely at home in the mountains, he’d slept like a baby; struggling to acclimatise and suffering from the cold, I hadn’t managed a wink. Despite being June, and sunny in the day, at night it had sunk to below zero and a thin sprinkling of snow covered all of our gear. For days we walked into the setting sun, sometimes it was hot, sometimes it rained, sometimes it was freezing. It was impossible to predict. At night we’d camp under a billion stars or if it snowed, in the sanctuary of a cave. Some days we passed curious shepherds, itinerant boys, and a few families migrating to the higher pastures with their sheep. Other days we saw no one at all. The Wakhi were herdsmen but they too rode yaks and we managed to find a small camp where another chief agreed to rent us the furry beasts until we reached the Pakistan border. The two Kyrgyz handlers who’d come with us had been complaining for days anyway and we were hardly sad to see them go. Malang was just happy to be back on home turf and to be speaking his native language. He was famous around these parts and everywhere we went, the Wakhi greeted him like a returning hero. One evening, we made a campfire with nothing but dung and a few small twigs that the men had brought from the village – valuable stuff. They must have known they were in for a cold night but hadn’t brought any tents or sleeping bags. ‘How will they get any sleep?’ I asked Malang, feeling sorry for them, and guilty for not being able to provide. ‘They are Wakhi, it’s what they do. Cold, warm, rain, snow, what to do?’ He laughed. While they huddled together around the tiny flickers, I wrapped my scarf tight around my neck, pulled my Pakol down over my ears and shuddered at the thought of sleeping rough. These were hard men. They walked around in holey leather shoes and no socks, their ragged trousers exposing frostbitten knees, and for warmth, just a waist-coast or an old woollen greatcoat. No Gore-Tex or goosedown for the Wakhi. I remembered that I had a full bottle of whisky in my bag, that I’d smuggled in on the plane. It was a good single malt but it had to be drunk before getting to Pakistan and I decided that tonight was the perfect time. I opened my bag and nudged Malang while our guides threw more dung on the flames. I knew that Malang would be up for some whisky but you can never be too careful offering it to complete strangers in an Islamic country – especially a policeman. Malang asked them if they’d like a drink. I’ve never seen eyes light up quicker. I half filled my metal army mug with some of the golden liquid and offered it to the nearest pair of hands. It was dark now and all that could be seen among the dancing shadows were flickering red faces, half concealed by turbans. It was a clear night and up above the stars appeared in light smudges against an infinite darkness. The mountains could only be made out where their own blackness interrupted the Milky Way. I shivered as an icy chill bore down the valley and for the first time since beginning the walk, I realised just how remote we really were. The chief took my cup and gulped down the lot in one go, smacking his lips in delight. I poured smaller measures after that, and all the men did the same, along with Malang. The entire bottle was gone in twenty minutes, and only then did they begin to sing. At first it was nothing but a gruff muffled chant but soon enough it became lyrical and Malang joined in. ‘What are you singing about?’ I asked. A snow coloured yak moved closer to the fire, his shaggy coat seeming to float through the night. He settled against a dirt mound and chewed in silence, presumably enjoying the entertainment. That night, despite the frosty cold and the burden of altitude weighing like an elephant on my lungs, I slept well. Excerpted from Walking the Himalayas by Levison Wood, copyright © 2016 by Levison Wood. Used with permission from Little, Brown and Company, New York. All rights reserved.